Our date perforating machine Perfoset E/D is a powerful and reliable machine for everlasting and secure marking of documents. Without any physical force, paper stacks up to a maximum of 25-30 sheets can be perforated in one operation. The Perfoset E/D is designed for high demands in the office or industrial sector. In its standard version, this perforator comes with 18 figure slides to perforate a 6-digit date in 6, 8 or 10 mm character size. 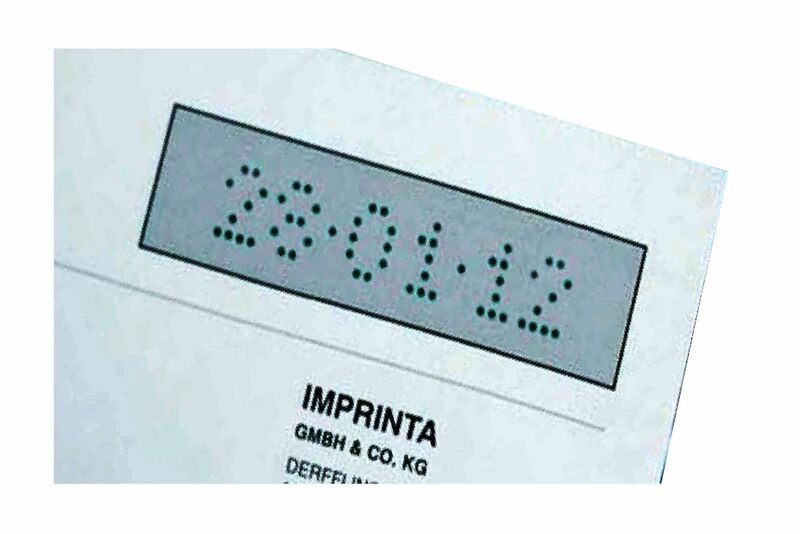 Due to its high power, an arbitrary number of interchangeable letters or figures can be perforated in one line with a maximum width of 100 mm. Please note, that even with 20 characters the capacity is still 15-20 sheets of paper. Additional, a fixed text above or below the date is also possible. Our perforator is equipped with an adjustable gauge one the side and in the rear of the machine in order to enable an exact positioning of the impression on the forms. The perforation is released by a comfortable lateral manual trigger. 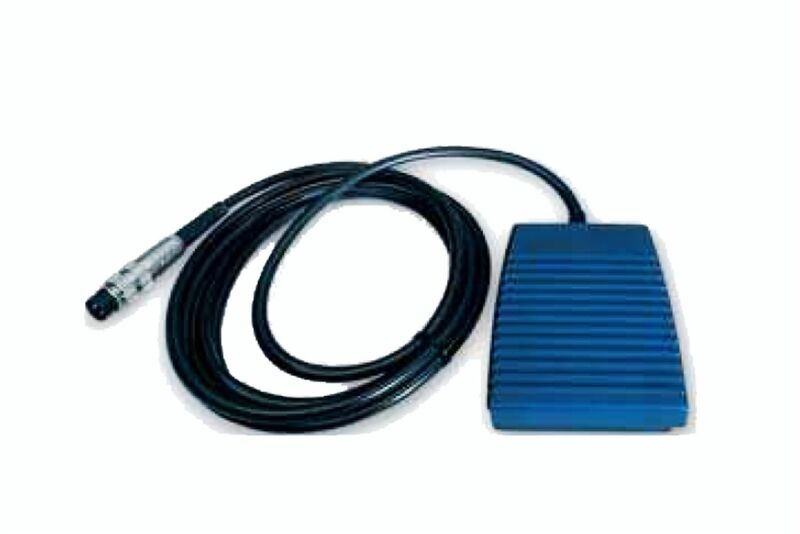 On request, a foot switch is also available to facilitate the work even more. A security lock is also available to prevent unauthorised use. 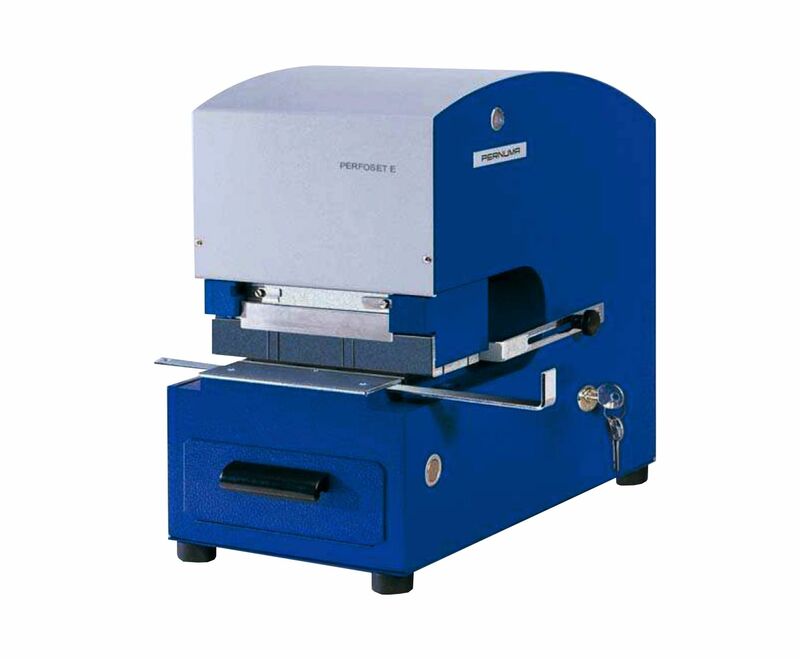 Our date perforating machine Office D can be supplied with 8 or 10 mm character size. A safety lock is also available on request to prevent unauthorized use.